You are receiving this email because you previously subscribed to the LIPTON® Tea & Health Club Newsletter. Become a LIPTON® Subscriber and get every issue. It’s free! In the summer months, the days are longer, the sun is brighter and the gatherings are more frequent. With summer coming to a close soon, LIPTON® wants to help you pick out the perfect recipes and see how they are made, which is why we have launched our very own YouTube channel. 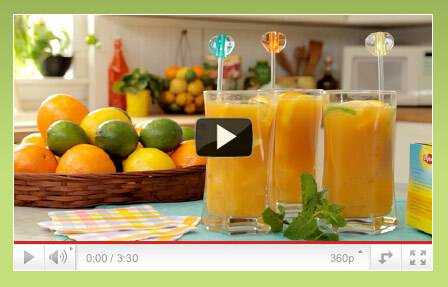 Watch instructional videos featuring your favorite iced tea recipes, created by and starring LIPTON® Tea Chef Suzanne Barr! Nothing helps make a gathering or BBQ more enjoyable than a great tasting and refreshing pitcher of iced tea, which is why our Citrus Tea Punch recipe is always a crowd pleaser. Combining LIPTON® Iced Tea with fresh orange and lemon juice, it’s a surefire hit at any summer get-together. 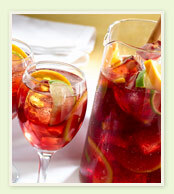 Watch the video, and see for yourself how this refreshing pitcher of deliciousness is made. Our videos will show you how to brew the perfect pitcher or cup of tea, as well as how to make other refreshing, enjoyable tea beverages in your kitchen. We also have videos showing you creative ways to use our tea. Super Fruitea Pops, anyone? Watch them all, make your favorites and serve them at your next gathering. LIPTON® Iced Tea is making this summer your most refreshing one yet! LIPTON® Tea is proud to become the first and only company in the United States to source their black tea from Rainforest Alliance Certified™ estates in 2011. On Rainforest Alliance Certified™ farms, forests and wildlife are conserved, farm workers and their families are treated with respect and relationships with local communities are strong. 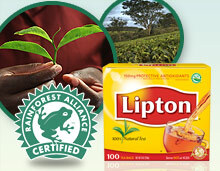 LIPTON® is proud to source its tea from Rainforest Alliance Certified™ estates. Research suggests that drinking 2 to 3 cups per day of black or green tea may help support normal, healthy blood vessel function. Next time you’re looking for a beverage to help beat the heat this summer, whip up a pitcher of refreshing LIPTON® Sparkling Sangria Tea. Pairing fresh oranges, lemons and limes with grape juice and the natural goodness of LIPTON® Iced Tea, this recipe comes together to form a refreshing summer beverage the entire family will surely enjoy. Serve it to your family and friends this summer. If you do not want to receive future communications from LIPTON®, please click here.